We really are all about all things Halloween, being that Halloween is our forte, first and foremost. And we love costumes, and ghouls and goblins, and candy. But carving Jack O' Lanterns out of our fall pumpkins is at the top of the list when it comes to Halloween activities. It's a ton of fun, and they are truly awesome decorations! So, when October 1st hits, and we're ready to suit up in our most seasonal apparel, we need a few fashion items to show off that we're getting ready for pumpkin carving season. Since we're not quite ready to bust out the costumes quite yet! 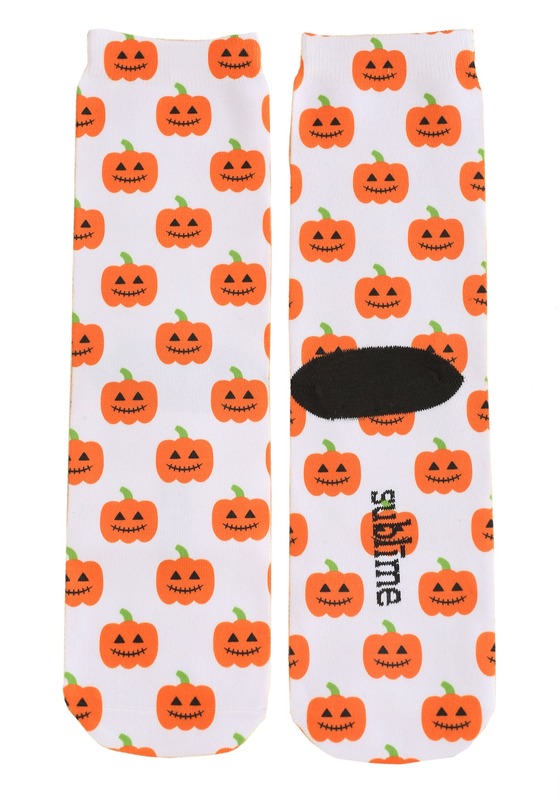 We'd be inclined to make a subtle style selection, like by adding these Halloween Pumpkins Adult White Crew Socks to our outfit. With an allover Pumpkin print, they're the perfect way to show off that you're ready for the Halloween fun! 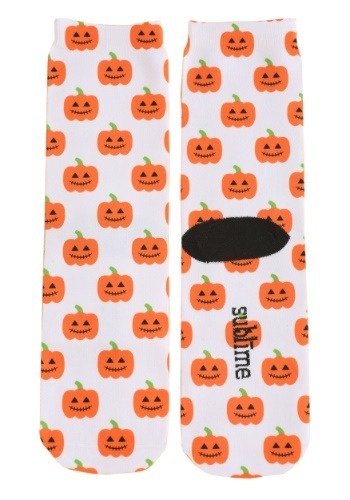 We think you'll have a sweet seasonal treat for your feet when you choose these Halloween Pumpkins Socks. Crew cut, they're 98% polyester and 2% spandex for the perfect fit, and the repeating pattern of pumpkins with Jack O' Lantern faces is perfectly evocative of the Halloween season.